This July, California Republicans cheered when the Gaining Responsibility on Water (GROW) Act passed the U.S. House. Rep. David Valadao, a Central Valley Republican and the bill’s sponsor, said the legislation was necessary to “modernize” the state’s water policies following prolonged drought. 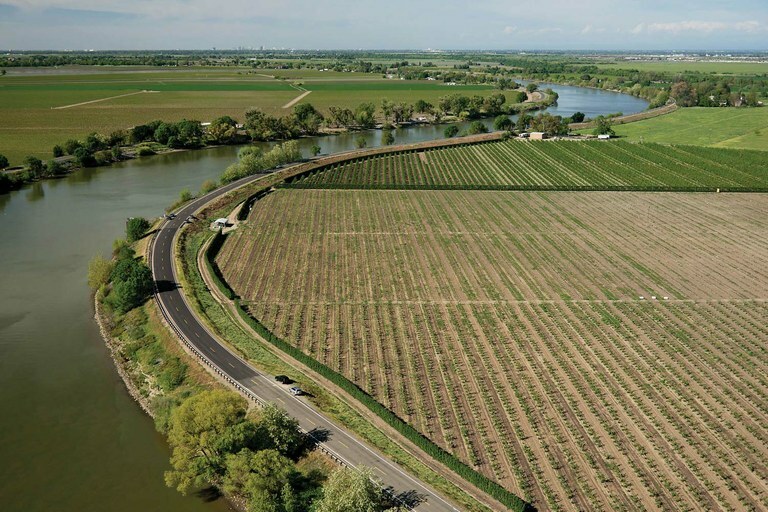 Specifically, Valadao wants to boost water deliveries to valley farms — which grow most of the country’s nuts among other crops — leaving less water in rivers to help threatened fish in the Sacramento-San Joaquin River Delta. That trade-off has environmentalists and Democrats calling the GROW Act a water grab and an attack on state and federal environmental protections. And it could have repercussions for the entire Delta system, which provides much of the state’s surface water supplies. The bill, H.R. 23, would basically block or override several state water laws — contrary to conservatives’ often-stated goal of reducing the federal government’s role and giving states greater power to manage resources. “They are trying to pre-empt the state from managing its rivers to balance the benefits to the economy with the need to protect the environment,” says Doug Obegi, attorney for the Natural Resources Defense Council. Orchards grow along the Sacramento River. The GROW Act would override a rule that allows water managers to keep water in the river to benefit endangered fish and prioritizes sending water to farms. The bill would override environmental rules set by California’s laboriously negotiated San Francisco Bay Delta Accord, an agreement meant to protect water quality in the Delta while guaranteeing reliable supplies for farms and cities. Instead, managers delivering water to the Central Valley would follow a less restrictive, temporary order from 1994 and do so “without regard to the Endangered Species Act.” That would prohibit the state from keeping water in the Sacramento or San Joaquin rivers solely to benefit chinook salmon, green sturgeon and delta smelt, all protected under the Endangered Species Act. It would also repeal and replace the San Joaquin River Restoration Settlement — a state-federal partnership to recover salmon — with a new farmer-friendly arrangement that allows irrigators to dry up a 60-mile stretch of the river, harming fish habitat. Overall, such measures to pre-empt state water laws are “huge and unprecedented,” says Brian Gray, an emeritus law professor now with the Public Policy Institute of California. Outside California, the GROW Act would also fast-track permitting for new dams across the West. It would make the Bureau of Reclamation the lead agency for permitting all new water-storage projects on federal lands, and accelerate environmental review, even for complex projects with expansive effects on rivers, fish and wildlife. Environmental impact statements, which agencies complete to weigh project costs and impacts, often take years to finish, particularly if conservation groups or local governments file appeals or lawsuits. The act would require the review process to be completed within 13 months, effectively limiting critics’ ability to raise concerns. Such expedited permitting would help water agencies like the Northern Colorado Water Conservancy District, whose plans for two large new reservoir projects have been under review since 2004. Chimney Hollow Reservoir, to be built on the eastern side of the Rockies, will store water diverted from the Colorado River to supply booming northern Colorado. It received federal approval this May — after 13 years of federal review that required numerous plan revisions to address potential environmental impacts. The district’s Northern Integrated Supply Project still awaits a final decision. Northern Water hasn’t endorsed the GROW Act, but spokesman Brian Werner says that better agency coordination — between federal authorities and state fish and wildlife managers, for instance — and swifter decisions would help water suppliers address criticism in a more timely, less piecemeal way. Delays are also costly, particularly if construction costs rise, and leave water-needy towns in limbo. In California, Central Valley water interests have proposed building a new dam on the San Joaquin and raising the height of Shasta Dam on the Sacramento River to increase water storage. Environmentalists worry that accelerated project reviews could make it difficult to identify and analyze overlooked impacts and raise public awareness, making project approvals more likely. California’s two Democratic senators, Dianne Feinstein and Kamala Harris, have vowed to fight the GROW Act, opposing the effort to obstruct the state’s ability to manage water and the likely harm to Delta fishermen and the environment. Observers say Senate passage will be tough; similar provisions have stalled in previous years. But now, with the GOP controlling the House, Senate and the White House, congressional Republicans could turn the bill’s provisions into legislative riders to must-pass appropriations bills. Correction: A previous version of this story incorrectly stated the Central Valley grows most of the country’s avocados, almonds and broccoli. That figure referred to all of California.